The Fremont Parks and Recreation Department coordinates rentals of all city buildings. Please call 402.727.2630 for additional information, rules, and availability. We offer the city auditorium, Christensen Field Multi-Purpose Building, and the Senior-Adult Center. Past events include fund raisers, receptions, concerts, hobby and stage shows, pancake and spaghetti dinners. When alcohol is to be served, an Alcohol Permit is required and security must be provided. 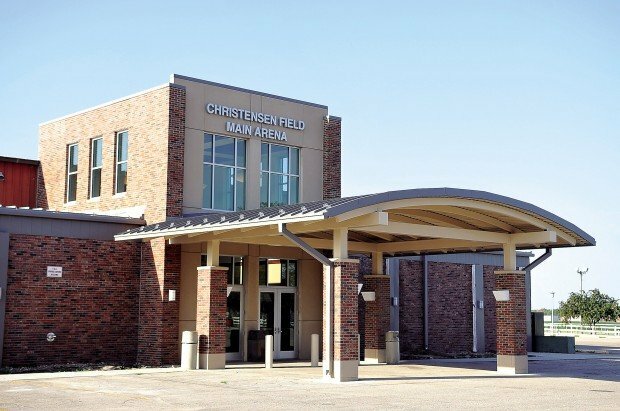 Christensen Field Complex has an indoor livestock arena, three pole barns with horse stalls, an enclosed barn plus an outdoor horse arena. This facility is a popular site for wedding receptions. Capacity is 300 - 500 guests. Located at 925 North Broad Street. This facility is a popular site for concerts, toy shows, gun shows, craft shows and wedding receptions. Capacity is 800 to 1000 people. Located at West Linden and Ridge Road. Main Arena Commercial Call for rates. Public Events w/ alcohol under 300 people Call for rates. Public Events w/ alcohol 300+ people Call for rates. Public Events w/ alcohol 600+ people Call for rates. This facility is used for smaller wedding receptions, family reunions and graduation parties. For smaller events include City Auditorium Community Room and Christensen Field Meeting Room. Has seating for 75 people, a refrigerator, is carpeted and air conditioned. *Holiday rates and/or Commercial rates may apply to all rental facility fees.